01 Aug Need a custom part designed to your exact specs? Your organization is unique, and so are your applications. That’s why Power-Packer engineers are standing by to design custom hydraulics to fit your precise requirements. Whether you need a simple mounting pad on a hydraulic stabilization leg or a completely new hydraulic outrigger system, Power-Packer’s engineer-to-order (ETO) approach will deliver a component that exceeds your expectations every time. Power-Packer supplies hydraulic position and motion control solutions to some of the most demanding industries out there, including construction, on-highway, fire and rescue, oil and gas, and military. Most of the products we design and manufacture are “engineered to order” to meet your exact specifications. Our highly experienced sales, operations, and engineering teams work closely with your in-house experts to ensure you are supplied a functional, effective component or system that works for you and your customers. “We use a time-tested, electronic Engineering Service Request system to track all projects,” explained Steve Lynch, Power-Packer product manager. “In cross-functional meetings with key stakeholders, we share vital information and track the progress of every project.” He added. “At conclusion, we end up with an approved drawing and a bill of materials, so that you can confidently place an order and know that we’ll build and deliver just what you need. 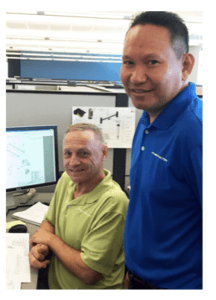 If you need an ETO hydraulic component, there’s a good chance your team will work with Veo Khenthavong and Al Neu. Both are seasoned Power-Packer employees, and came to us with diverse engineering skills and experiences. and skilled in Design for Six Sigma (DFSS). Neu has many years of hydraulic engineering experience, including technical work on pumps, cylinders and valves; technical sales; and design for leading manufacturers, including Joy Global and Bucyrus International (now Caterpillar). He has also lent his expertise as an instructor for a range of hydraulics courses. 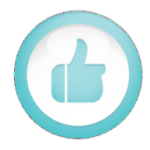 In our Bangalore, India, location, Yogesh Gowda and Mithan Hosamani support customer ETO needs. Both are design engineers with strong experience in the development of products, including hydraulic cylinders, castings, valves and structural engineering applications. Need an ETO hydraulic solution? We can help. The majority of products and systems shipped by Power-Packer require some degree of customization. Our skilled engineers are eager to work with you to develop hydraulic position and motion control solutions that precisely fit your needs and allow you and your customers to work smarter, safer and more efficiently. Contact us now.